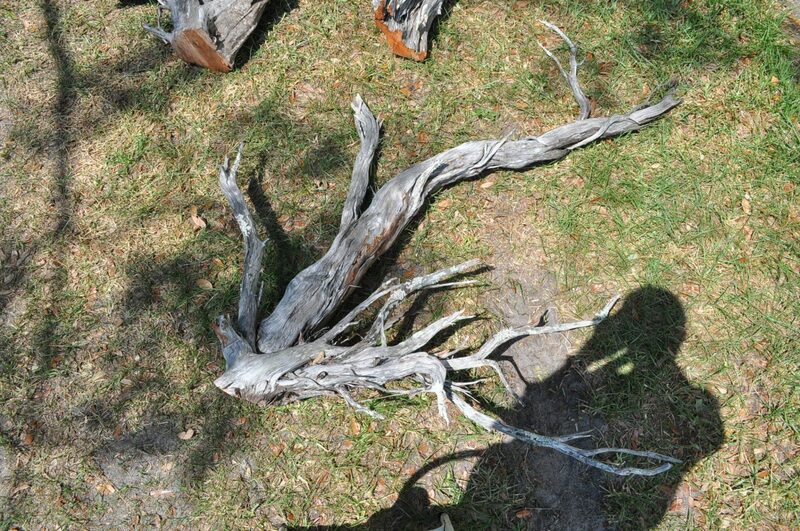 I often have decorators & designers contact me about creating a special driftwood piece for one of their clients. It’s always been a driftwood table of some sort, but Nicole Everett of L2 Studios in Orlando had something different in mind this time. 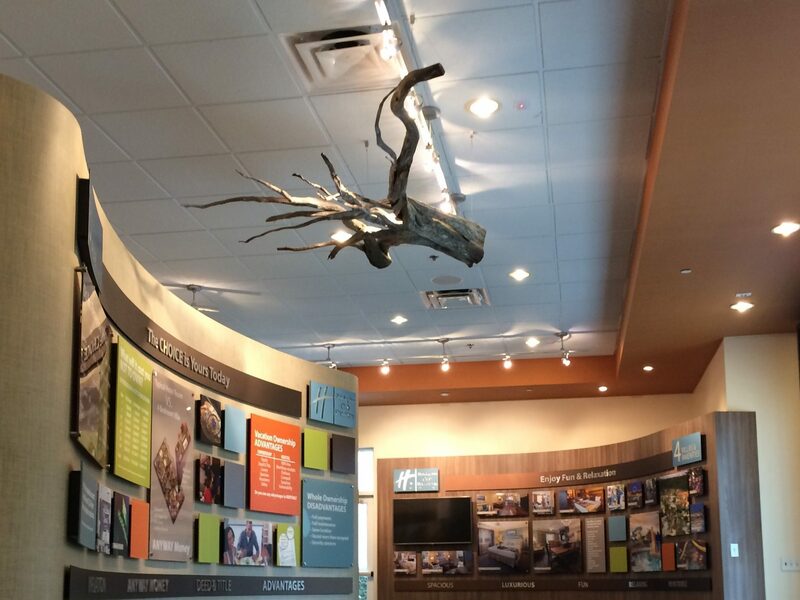 Her client, Orange Lake Resort in south Orlando, wanted some large interesting driftwood roots to hang from their ceiling of their sales center. 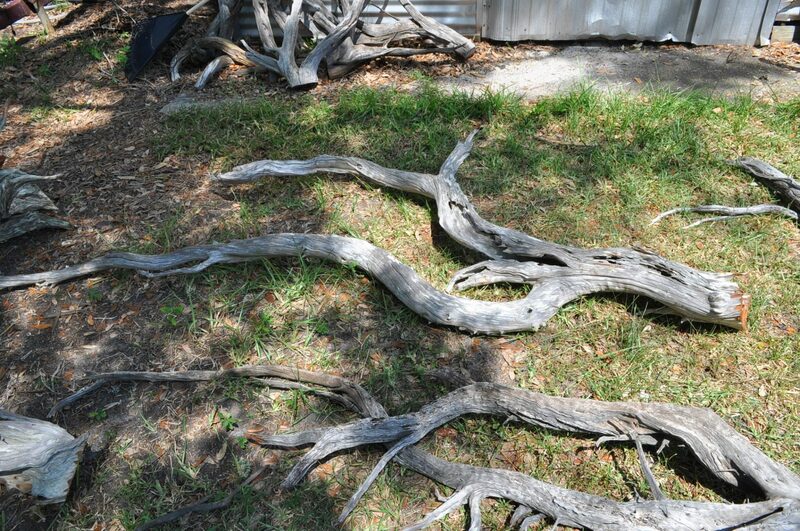 Now, although the root system of the Florida red cedar is the primary starting point of most of my furniture, it usually is the whole stump including the trunk. 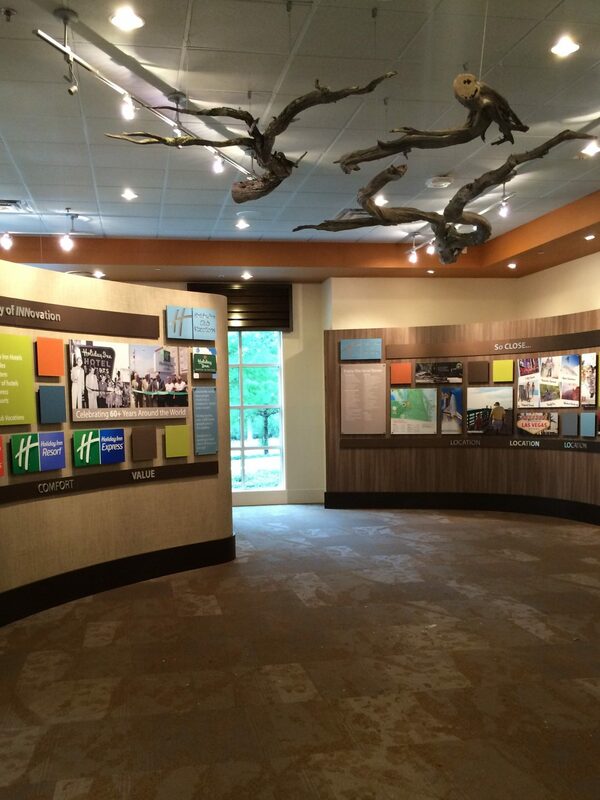 What was needed for this project was some long & branchy roots which I normally don’t keep on hand. 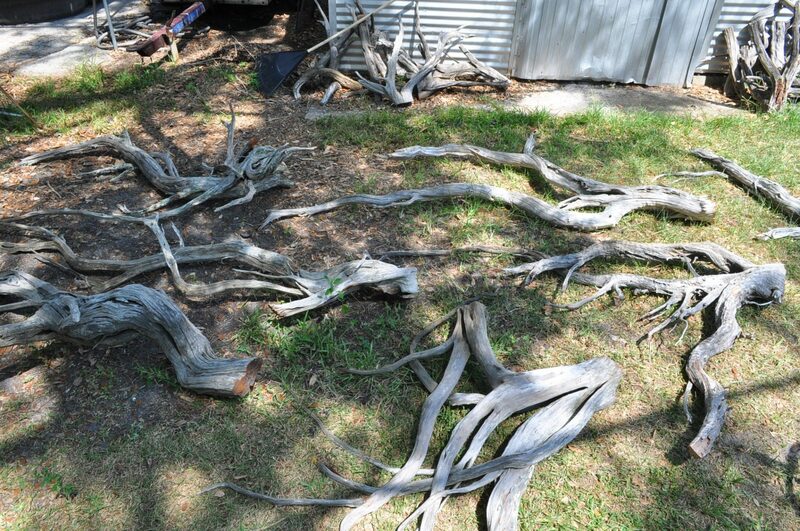 So I called my driftwood supplier on the coast & told him to be on the lookout and on my next trip to purchase wood, I brought back some great pieces. Nicole came by my shop & decided that they could use all of them. The project was still a couple of months away which gave me time to weather the cut ends so they would be less of a red color. When the time came, I loaded them in my trailer & dropped them off at Orange Lake (thankfully hanging them was not part of the deal). 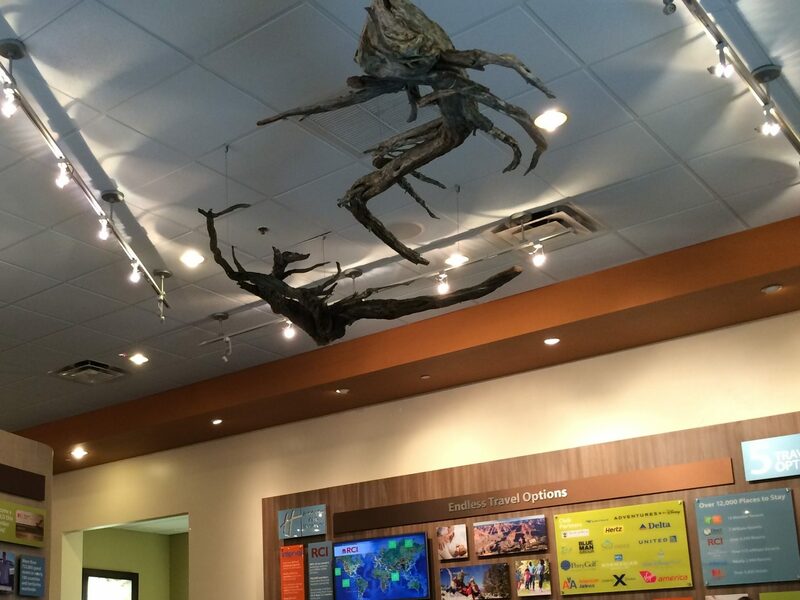 A few weeks later, I received some images of the hanging driftwood.